Often overshadowed by the Class 08s, the lower-powered Gardner-engined machines were adopted as British Rail’s standard small shunter, enjoying a varied career across five regions. Simon Bendall recounts the type’s history and the many detail differences that would appear over the years. BUILT between 1957 and 1962, the Class 03s, as they would later become under the TOPS system, were BR’s attempt at creating a ‘standard’ small 0-6-0 diesel mechanical shunter. 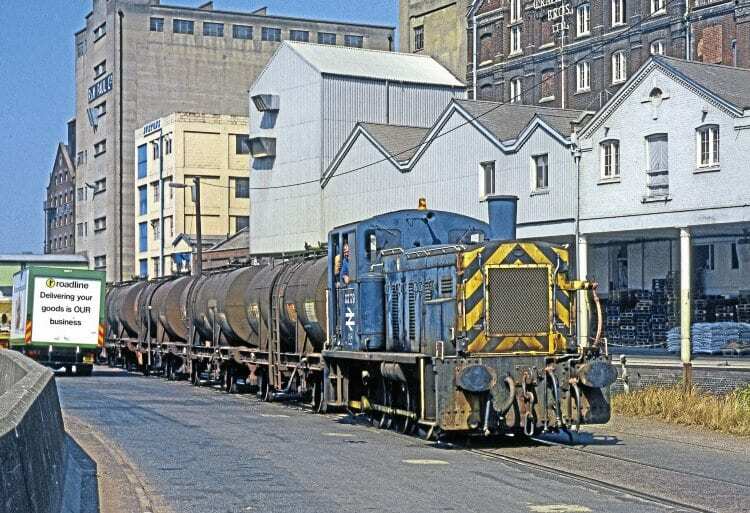 Based extensively on the existing Drewry design (later Class 04) but with a number of refinements, the type employed the same proven and reliable 204hp Gardner 8L3 engine. Eventually totalling 230 examples, the build was split between the BR workshops at Swindon and Doncaster. The former turned out Nos. D2000-43/86-88, D2114-99 and D2372-84 with the South Yorkshire workshop responsible for Nos. D2044-85/89-99, D2100-13 and D2385-99, the jump in the number series being due to the Class 04s occupying the D2200-D2341 range. Nos. D2370 & D2371 respectively. Accepted into traffic in December 1957, Nos. D2000-03 went new to King’s Cross (34A), thus beginning the type’s long association with the Eastern and North Eastern regions. While both of these areas received numerous further examples, batches were also dispersed across the Southern, Western and London Midland regions, leaving only Scotland without an allocation.